Rejane D. Fernandes is the Strategic Relations and Development Director of WRI Brasil Sustainable Cities. 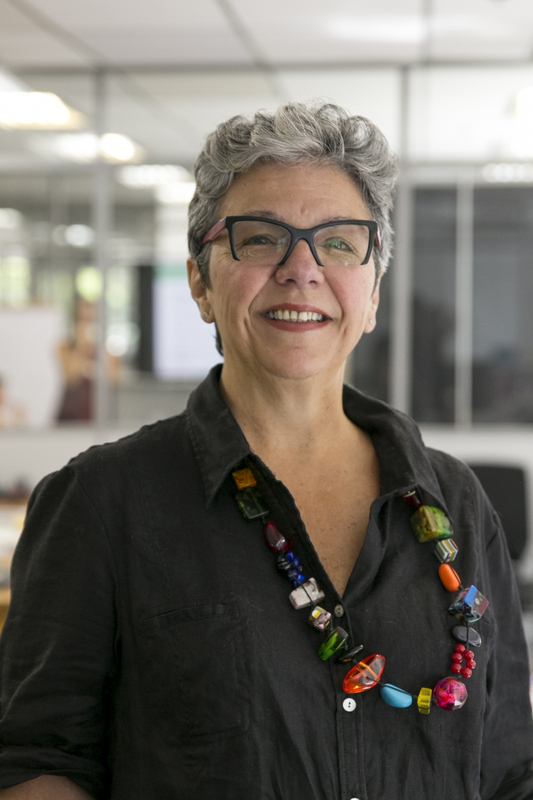 She works to achieve WRI Brasil Sustainable Cities' mission by developing key partnerships, disseminating sustainable transportation and urban development best practices and strengthening the organization’s institutional image. Rejane is responsible for the fund development and communications strategies and leads the development and communications teams. Prior to joining WRI Brasil Sustainable Cities, Mrs. Fernandes ran her own public relations firm, working with clients in the private and public sectors to develop marketing strategies, launch new products and services, promote and organize fairs, seminars, lectures and other special events that helped to improve sales, increase credibility, change paradigms and introduce new concepts. Mrs. Fernandes also worked as a writer, producer, editor, and city news bureau chief. She has also been a coordinator of state and national bureaus in newspaper, radio and television in the southernmost Brazilian state of Rio Grande do Sul. As an international correspondent in New York City for almost three years, she collaborated with newspapers and radio stations in Rio Grande do Sul and São Paulo. Rejane studied Social Communication with an emphasis in journalism and audiovisuals at the Federal University of Rio Grande do Sul (UFRGS).